Bloody Delicious and even better tasting. Place lychees, olive oil, coriander, salt, ground pepper, onion chilli and lime juice in a large bowl. Mix. Set aside. Spray hot pan with canola spray or olive oil. 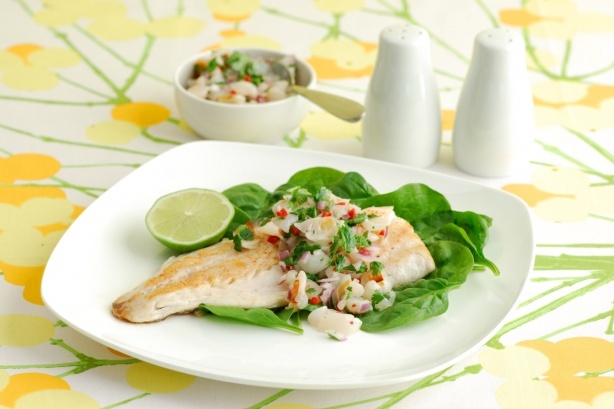 Cook fish for 3-4 minutes, turning once or until cooked. Place cooked fish onto plates and spoon over with the lychee mixture. Serve.